José Félix Trespalacios, an insurgent who fought for Mexico’s independence from Spain, became the first governor of Texas in newly-independent Mexico in 1822. As such, he has to deal with the arrival of Napoleon Bonaparte on the Texas frontier in Napoleon in America. Trespalacios was a hard-working and optimistic governor. He established the first Texas bank, negotiated an agreement with the Cherokees, supported Stephen Austin’s colony, and introduced the first printing press to Texas. His term was short, however, and most of his innovations came to naught. José Félix Trespalacios was born in Chihuahua, Mexico in 1781. He was the son of Francisco Antonio Trespalacios, a Spanish immigrant who served several times as the alcalde (mayor) of Chihuahua. At the time, Mexico was under Spanish rule. When the war for Mexican independence broke out in 1810, José Félix Trespalacios joined the militia. Though he was supposed to be supporting the royalists, his sympathies lay with the rebels. In 1814, Trespalacios was elected alcalde of Chihuahua. In November of that year he was arrested and tried for conspiring to provoke a rebellion. His initial death sentence was commuted to ten years in prison. Trespalacios escaped (possibly in Havana) and joined a rebel band fighting in the Mexican countryside. Sometime between 1816 and 1819, Trespalacios was again captured and imprisoned. For a second time he escaped. His wife, Ana María García Roiz, assisted in one or both of his escapes. José Félix Trespalacios wound up in New Orleans, where he joined James Long’s 1820 filibustering expedition to Texas. Trespalacios was named military commander of the expedition. It was thought that putting a Mexican in nominal charge would give the venture political legitimacy and financial support. As the expedition was low on funds, Trespalacios issued treasury notes to the soldiers in payment of their dues. The men’s joy at getting paid turned to anger when they discovered that the notes were not accepted by New Orleans merchants. News of the revolutionary Plan of Iguala reached the Long Expedition in July 1821. Trespalacios sailed with Ben Milam down the Mexican coast, hoping to contact rebel leaders Agustín de Iturbide and Vicente Guerrero. Their plan was to join the republican forces, raise funds, and move back up the coast to unite with Long’s forces. Upon landing at Veracruz, they were imprisoned by royalists on suspicion of conspiring to proclaim a republican form of government. They were eventually freed and went to Mexico City, where Iturbide had become president of the provisional governing junta of newly-independent Mexico. Milam was opposed to Iturbide, while Trespalacios supported him. As described in more detail in my post about Ben Milam, James Long was killed in mysterious circumstances in Mexico City on April 8, 1822. Milam suspected that Trespalacios had plotted the murder. He considered this suspicion confirmed when Iturbide appointed Trespalacios as governor of the province of Texas. Milam and other Long sympathizers planned to intercept and kill Trespalacios on his way to Texas. However, two of the men warned Trespalacios of the plot. Milam and his associates were arrested. Texas was thinly populated and underdefended. San Antonio and La Bahía del Espíritu Santo (Goliad) had only 250 poorly equipped soldiers between them. The chaos of the independence war meant that these frontier troops had often gone without pay or supplies. 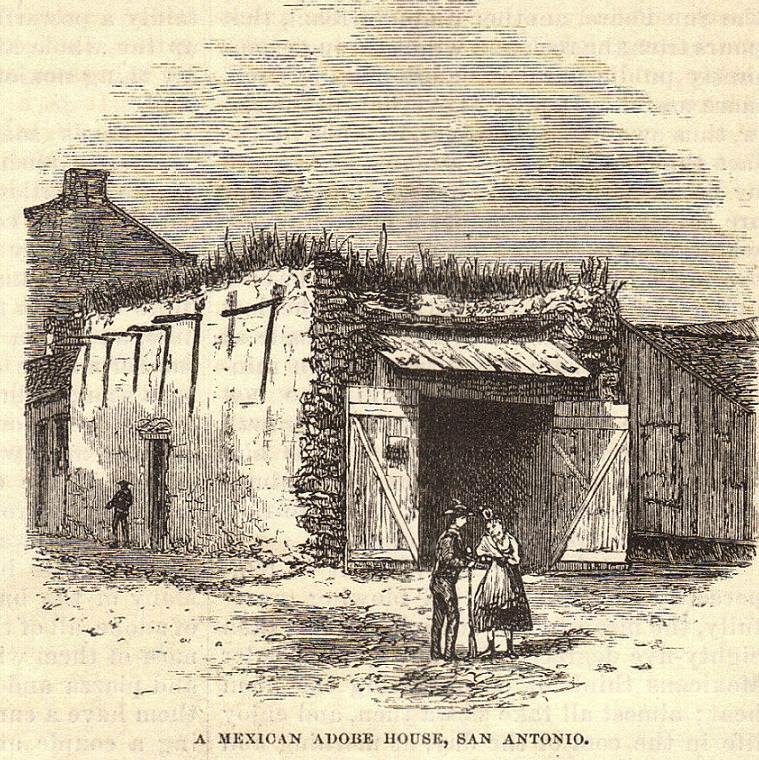 In October 1822, Trespalacios convinced the San Antonio ayuntamiento (town council) to establish a bank to issue paper notes to cover soldiers’ salaries until Mexico City could send their wages in silver. The Banco Nacional de Texas (Texas National Bank) issued approximately 12,000 pesos, in two installments in November and December 1822, to be backed by the silver due from the central government. Bank operations were suspended in early 1823, when Iturbide decided Mexico should issue its own paper currency. He decreed that Texas paper should be exchanged for Mexican. Holders of the Texas notes refused, arguing that Trespalacios had guaranteed payment in specie. It wasn’t until 1830 that the remaining Texas notes were finally exchanged for coin. In November 1822, José Félix Trespalacios signed a treaty with the Cherokee Indians, as described in my post about Cherokee Chief Bowles (Duwali). Trespalacios wrote about this, and his other activities and concerns, in a letter to Stephen Austin on December 15, 1822. The promised reinforcement of troops from the central government never arrived. In December 1822, Mexican generals Antonio López de Santa Anna and Guadalupe Victoria signed the Plan of Vera Cruz, aimed at abolishing Iturbide’s monarchy and transforming Mexico into a republic. On March 19, 1823, Iturbide resigned. The Texans were slow to catch on to the new state of affairs, in part because the news took some time to reach them. On March 21, Trespalacios wrote to his commanding officer enclosing a petition that proclaimed the San Antonians’ loyalty to Iturbide. When Santa Anna threatened to send troops against them, the Texans amended their views. With Iturbide out of office, Trespalacios received notice that he was relieved of his duties too. He officially resigned on April 17, 1823. The new government would be a federal republic, not a monarchy. Before Trespalacios’s departure from San Antonio, the Texans elected him to represent them on the newly formed deputation (council) of the Eastern Interior Provinces in Monterrey. Upon arriving there, Trespalacios sold his printing press to the deputation for 3,500 pesos. There would be no printing press in Texas again until 1829. Trespalacios later served as a senator from Chihuahua to the Mexican National Congress from January 10, 1831, to December 1, 1833. He was commandant general and inspector of Chihuahua from January 10, 1833, until his retirement from the army on December 15, 1834. José Félix Trespalacios died at Allende, Chihuahua, on August 4, 1835, age 54. Charles Adams Gulick, Jr., ed., The Papers of Mirabeau Buonaparte Lamar, Vol. 2 (Austin, 1922), pp. 93-94. Raúl Coronado, A World Not to Come: A History of Latino Writing and Print Culture (Cambridge and London, 2013), pp. 277-78. Eugene C. Barker, ed., Annual Report of the American Historical Association for the Year 1919: Vol. II: The Austin Papers, Part 1 (Washington, 1924), p. 560. A World Not to Come, pp. 281-285. He was a tall, sedate and dignified man, gentlemanly in his deportment, kind in his expressions and liberal in his dealings.